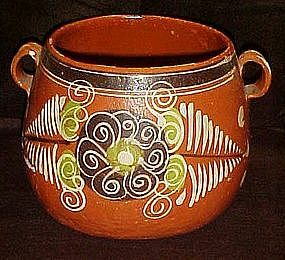 This large Mexican pot measures almost 7" tall and is in wonderful condition with no chips or cracks. All hand painted and glazed. Would also make an awesome vase for a centerpiece.